Simultaneously, Doña developed a great love for musical theater and began singing and acting extensively in both regional and Off-Broadway plays. 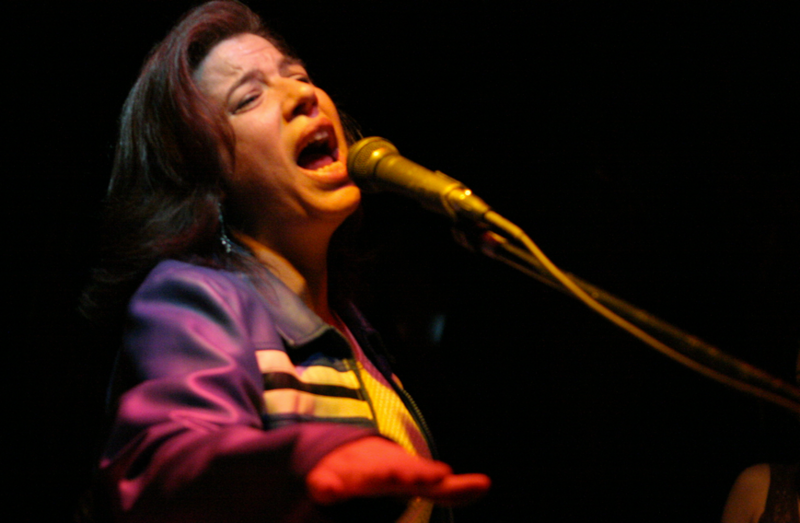 This experience led her to explore the styles of legendary jazz and pop vocalists like Ella Fitzgerald, Mel Torme, Dinah Washington and Judy Garland. She also became attracted however, to the primal rock ‘n roll of Chuck Berry and Jerry Lee Lewis. At 17, Doña applied and was accepted to New York University’s prestigious Tisch School of the Arts, where she studied drama. While in college, Doña began working as a waitress at the now-defunct Lone Star Café, a legendary New York City meeting ground of the blues and roots music elite. Soon Oxford was sitting in at open-mic nights. It was at one of those early informal jam sessions that Doña met and became very close friends with Arthur Neilson, a veteran guitarist who has played with everyone from Cyndi Lauper to Otis Rush. The two formed a band called Oxford Blues and began gigging regularly and touring the Northeast, eventually releasing a self-produced CD which garnered reviews from such publications as Living Blues and Keyboard. 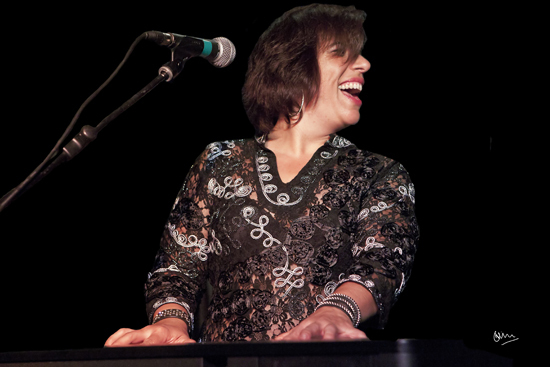 Doña has toured all over the world, bringing her amazing keyboard playing and vocals to devoted fans in Europe, Japan, Canada and the United States. With this many accomplishments, one would think that Doña Oxford must be satisfied. Not so! In addition to playing around the world and indulging her diverse interests (Doña is an accomplished drummer, graphic artist and auto mechanic), she has performed on many Major Motion Picture soundtracks, including Eddie Murphy’s Norbit,, Martin Lawrence’s Welcome Home Roscoe Jenkins and the very funny comedy, Senior Skip Day. Doña has also released Rowena Said…, her full-length debut album , RAW her live sophomore release, and Step Up her latest full length album, all nationally distributed under the FountainBleu Records label. Now, calling Los Angeles her home, Doña continues to impress audiences worldwide with her double fisted, high-energy performance. It’s all attitude, sultry good looks and a down and dirty beat. An unforgettable musical experience and a show not to miss! !